This following is a history of Basingstoke Friends formerly known as the Basingstoke & North Hampshire Inter-Varsity Club (BNHIVC) contributed by Bob Clifford who was one of the founder members of the club. The BNHIVC was formed in 1985 with help from a friend Bob Alexander, who had previously moved to Basingstoke from Norwich. I had met Bob Alexander during the time I had been Treasurer and Bob Alexander had been an event organiser in the Norwich and Norfolk IVC prior to our respective moves to the Basingstoke region. Like many others at the time, I had moved to Basingstoke to start a new job in the growing IT sector that had become centred around the Thames Valley area. I was surprised to find that despite being a fairly large town, Basingstoke offered few options in terms of sports and social clubs. It was then that I decided that there was potential to build an IVC in the town. I subsequently found out many years later that some previous efforts had been made to start an IVC in Basingstoke, but they had all unfortunately failed for various reasons. From my past experience as a founder member of Norwich & Norfolk IVC, I knew the creation of the club would require a permanent venue for the weekly club nights. I identified the Beechdown Squash and Badminton Club (as it was known then) to the South West of the Town Centre on Winchester Road as a suitable venue for this purpose. However this arrangement required some initial financing for the start up stage. This was sought after by Bob Alexander and I putting together a business case for starting a Basingstoke IVC Group and approaching the Reading IVC (now Thames Valley IVC) to provide funding for the initial venue and publicity costs. 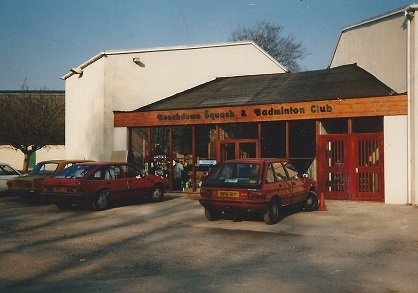 The first Basingstoke IVC Group Club Night was held at the Beechdown Squash and Badminton Club in May 1985 following some brief articles in the local press. Although there were only a small handful of attendees initially, the club had now started. With support from the Reading IVC club, the number of members in Basingstoke gradually grew. Over the following months, a great deal of effort and investment was put into publicising the club through leaflets and posters with the intention of getting prospective members to attend a big New Members Night at Beechdown in late November. The New Members Night was heavily promoted by various means including brief newspaper articles and having a large notice board with posters and take away leaflets at the Central Library. This notice board was placed facing the top of the stairs for the first couple of weeks in November. The first major New Members Evening at Beechdown in November 1985 was a resounding success with around 30 prospective members attending. 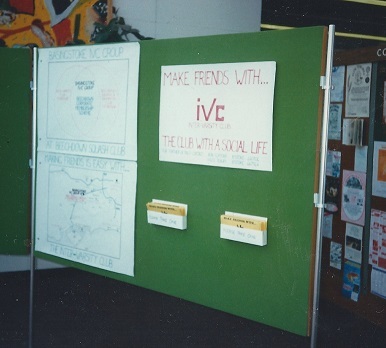 The publicity drive had helped Basingstoke IVC Group grow as a subsidiary of the Reading IVC to about 25 members. By the second half of 1986 the group had become a significant social presence in the town with around 40 members. It was also around this time that the group completed negotiations to transfer from Reading IVC to become a subsidiary of the West Surrey IVC (WSIVC). During this next phase of growth, Hazel Tilbury, who was a member of WSIVC, joined the Basingstoke IVC Group organising team to help with smoothing the groups integration as a self governing subsidiary within the new parent club. 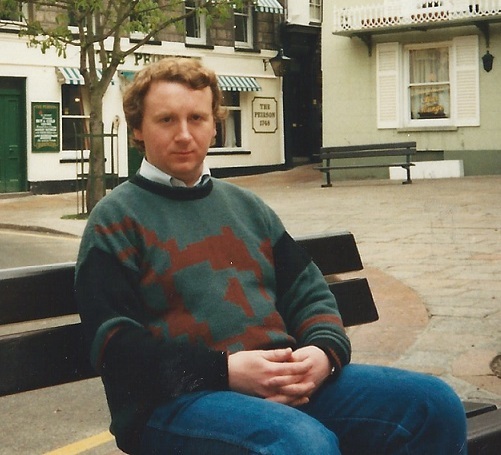 With sufficient people now being involved with the group, it was time to elect the first Committee to manage the affairs of the Basingstoke IVC Group in November 1986. The election of a Committee gave the club the extra resources it needed to grow into one of the leading general social and sports clubs in the town. During this period, the club further enhanced its reputation by becoming the lead organiser for a series of annual club fairs which were held at the Central Library (see picture) and the Basingstoke Ice Rink. 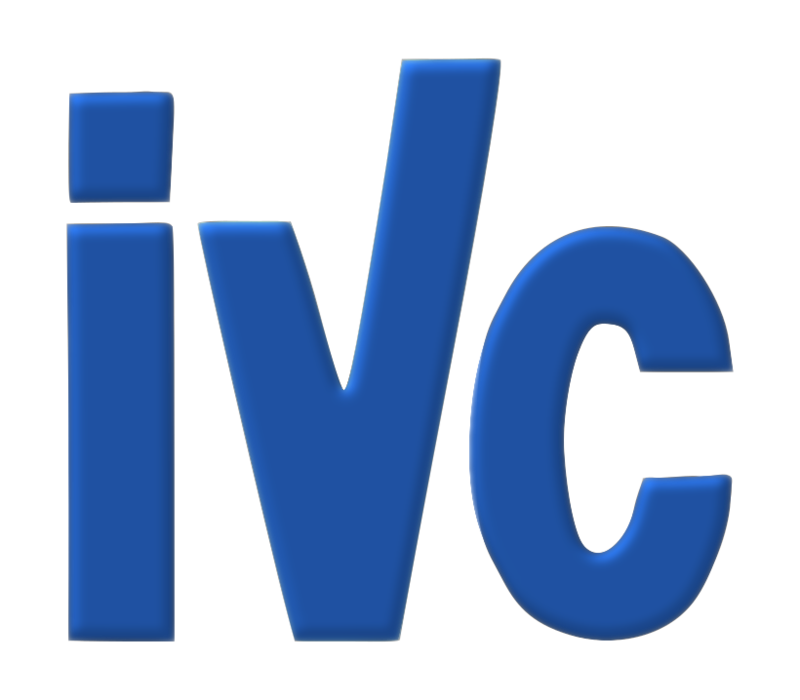 The Basingstoke IVC Group had a long and fruitful period of growth working with WSIVC and remained an independent subsidiary of the West Surrey IVC until late 1990. 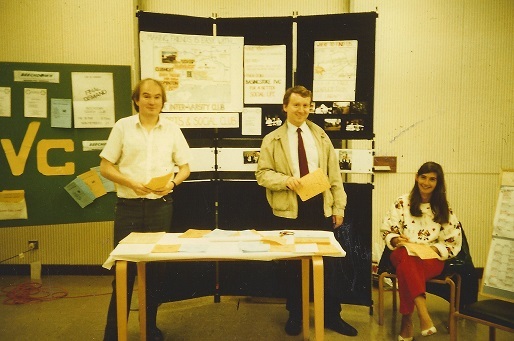 It was in April 1990 that Basingstoke IVC Group applied for and was accepted as an independent member club within the Association of Inter-Varsity Clubs at the AIVC Conference in Chichester. From that time onwards the club adopted its the name of Basingstoke & North Hampshire Inter-Varsity Club. In November 2017, the Club was renamed Basingstoke Friends.